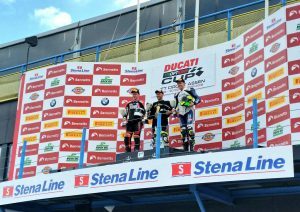 After a successful 2018 season in the Ducati TriOptions Cup, where he finished in second place, has springboarded East Lothian, local lad, Lewis Rollo back into the Superstock 1000 class for 2019 with new team ‘In Competition Aprilia’. 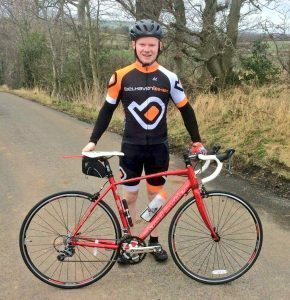 We’re proud to continue to support Lewis’s fitness programme with a Claud Butler road bike from Tandem Group Cycles, together with the bike’s maintenance and cycling kit. Many thanks to Tandem Group Cycles for helping us to achieve this sponsorship. In 2018, it was a privilege to witness Lewis’s fantastic result in the Ducati TriOptions Cup which was secured at the historic TT circuit at Assen, Netherlands. 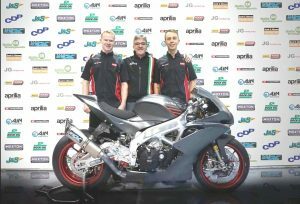 “I feel honoured to have this opportunity to ride the Aprilia RSV4RF with such a great team. I can’t wait to get started and see what 2019 brings for me and the team. I can’t thank In Competition enough for giving me this opportunity. I am looking forward to working with the team and hope to prove myself well in the Stock 1000 class after having such a great season in 2018. 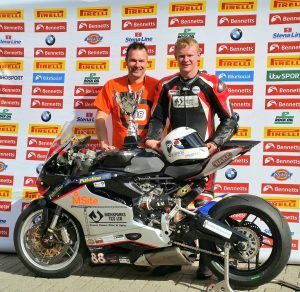 “Lewis has come through the Aprilia 125 Superteen Championship where he was Superteen champion in 2012 and had wins in the Aprilia RRV450 Championship. We’ll be cheering Lewis on all the way! Good luck! See also our previous News item from 2017. Call us on 01368 860300, email [email protected] , connect on Twitter – Instagram or pop into the shop!